These tanks mount in the standard tank position so require no additional drilling to fit and the standard power steering pipes attach straight to the spouts on the tank. They are hand made on site from high quality aluminium and the tanks are fully welded. Power steering fluid tend to gush out after circuit or sport driving, caused by the cavitations which occurs when the power steering pump works at high RPM, These air bubbles expand to the entire power steering system when high RPM range is often used, and this increases the oil level inside the power steering tank. Under such conditions, the air bubbles will be heated and the internal pressure increases, in the end the power steering fluid will gush out. Due to the cavitations, the pressure inside the power steering system will not operate correctly and steering problems may occur. 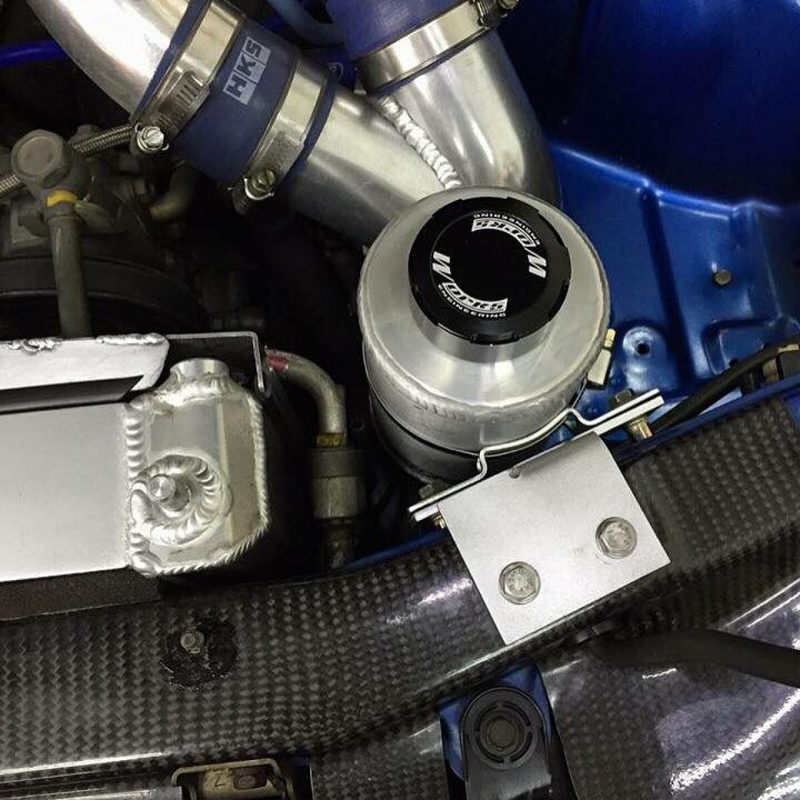 The Works Engineering Racing Power Steering Tank helps prevent problem to ensure you perform to your max! 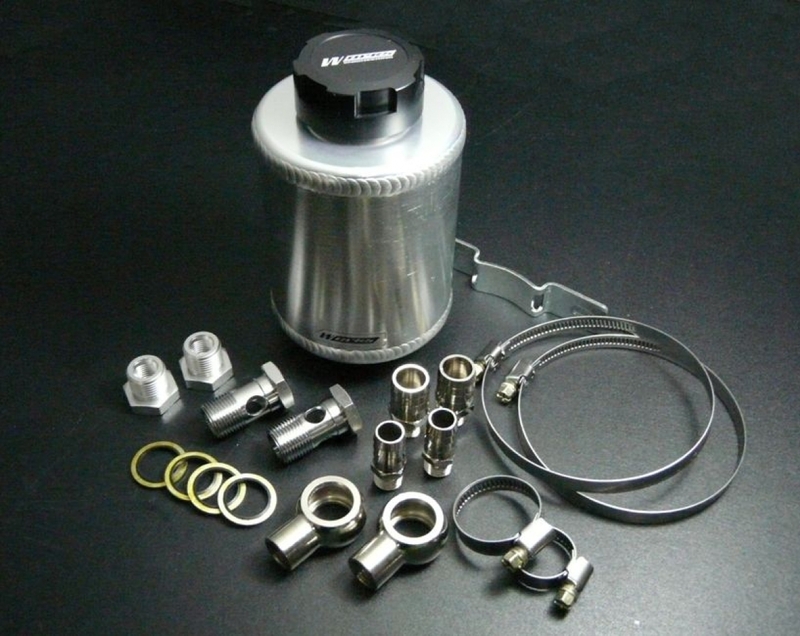 * Made from Billet 6061 Aluminium, TIG weld, polished, with billet aluminium CNC machined fittings. * Stable steering under hard driving conditions such as high temperature, high RPM and high loads. 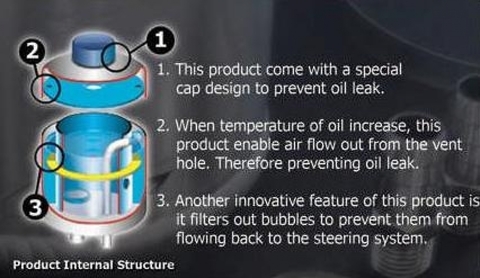 * Special tank cap that discharges only vapours, gas generated due to cavitations, avoid oil loss and fluid gushes. * Baffle plate to prevent the deviation of the oil surface under high G driving. * Air stopper preventing the air bubbles from entering the power steering system and causes damage to the system.